Previous PostJUDGE KOLLRA!Next PostRESIGNING WOMAN? What could the reason be for closing except to hide who is the most/least qualified? This comment illustrates a prevalent mindset and prevailing problem amongst some of the fascist dipsticks whom believe to their core that being a judicial officer is a right and not a privilege. Of course the public should be involved in the selection of any type of judicial officer especially a GM position which does not require review by the electorate on a regular interval. I am sure CJ Weinstein has his reasons but I believe this to be a bad decision on its face given the horrid reputation of the 17th Judiciary . A prime opportunity to install a mechanism to help rehabilitate said reputation has been removed and now lends further fuel to the conspiracy fires for those of the opinion the appointment process is a cheap disguise for further cronyism and political patronage. So the scam is back on ? Fatty Weinstein just gotta keep it in the fold. To do anything else just would be too fair and let some qualified person outside the tribe have a chance. Sounds like a set up for Reiman. 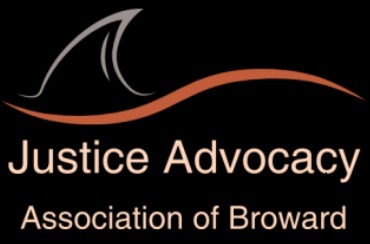 THERE IS NO SUNSHINE IN BROWARD JUDICIAL CIRCLES. ITS GOING TO TAKE THE FEDS TO CLEAN HOUSE. Has Reeman been appointed yet? She should write a tell all book about the 17th first. That would be a good read. Another oddity, is why the court admin hr person is on the selection panel. Court admin is an important functionary in the courthouse. But being part of deciding who will be sitting in judgment is wrong. The role of making sure the courthouse toilets are functioning properly and picking the hot dog vendor is important but how does that translate to selecting a judicial officer? It would be nice if people knew before they chose to spew. The position is a Court Administration position, funded and controlled within the State Courts System just like a case management or finance position, not that of a judge. Check out flcourts.org to learn more. The position of court administrator since Carol Ortman has been staffed by incompetent idiots catering to then Chief Judge and moronic self serving Ross and Co.
Ortman’s only concern other than pandering to Ross was collecting frequent flyer miles racked up at the expense of tax payers of the State of Florida collected on her frequent bogus flights to the State Capital. There’s no reason to expect anything any different under Rieman. When you have to have any dealings with court administration they scatter because they know they serve really no purpose other than collecting their pay checks. It goes way back to Grossman and Ortman. These pond skimmers are only interested in securing their hand picked cronies to continue to provide cover for the bad state of judicial mismanagement or no management of the Courts in Broward. An audit of the office is really what’s called for. Weinstein is going to get a lot of heat if he appoints you know who. Labarga getting 2 more = bad sign for Rieman.